THE STORY: It's Bella's twenty-ninth birthday. Friends and former lovers meet for a drink to celebrate. But as the Bloody Marys flow, the bar becomes a battlefield. In the uncivil war between the sexes, what happens when the females have the real fire-power-stockpiles of testosterone, lethal wit and explosive attitude? And what happens when patriarchy gets personal, when it's your own father who is tragic and terminal? When the only man you really love is dying? 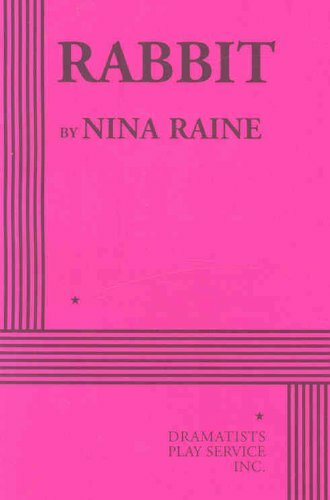 Nina Raine is a playwright and theatre director. Her plays have been premiered at theatres including the Royal Court, Hampstead Theatre and the RSC. They have also been seen in the West End and off-Broadway. She won both the Evening Standard and Critics' Circle Awards for Most Promising Playwright for her debut play, Rabbit .